At the market last week we found Tapioca Pudding in a bag in the chinese food section. I thought why not - it is much cheaper and we love Tapioca Pudding. 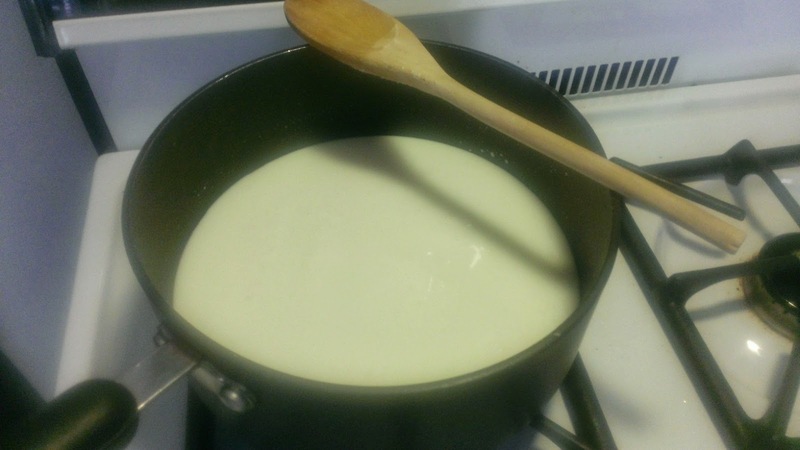 Combine milk, tapioca and salt in a medium size pan. On medium heat bring to a boil - stirring constantly. time. 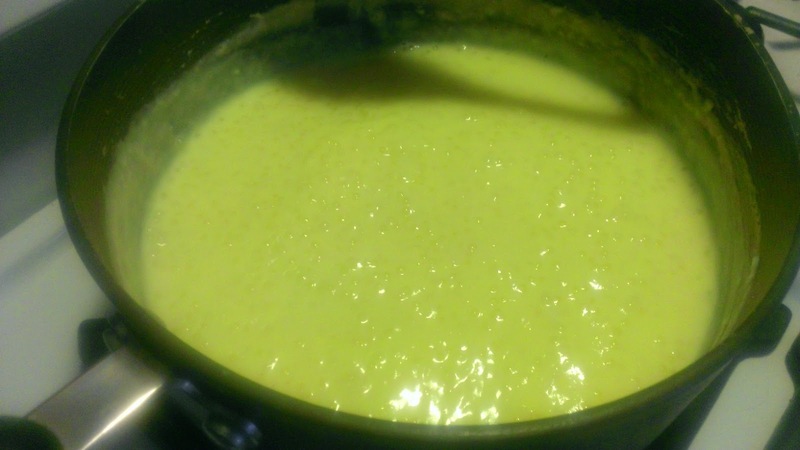 Gradually stir in warm egg mixture - do not add fast - eggs will curdle. Bring mixture back to a boil and cook on medium heat till you have a pudding consistency mixture. Cool 15 minutes then add vanilla. We like our Tapioca cold - in the winter I cool covered outside on the patio table. In the warmer months I cool in the freezer then I place the Tapioca in the fridge. 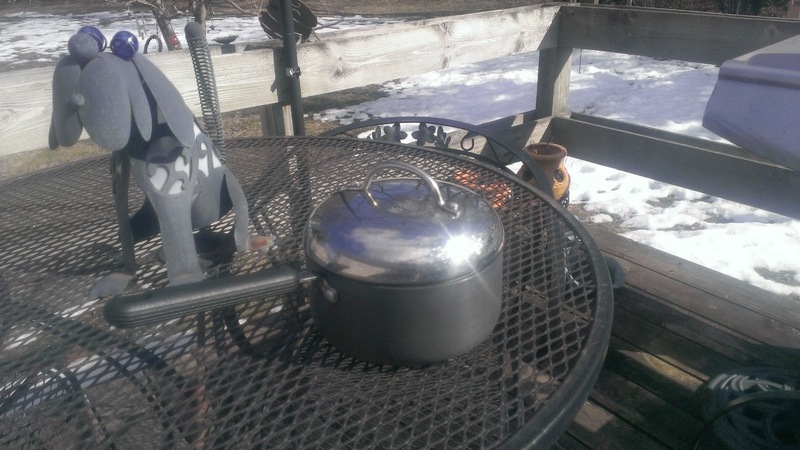 I know it is Spring but today the high is 20 in Wisconsin - so my Tapioca Pudding is cooling on the back deck! Check out the snow! Will WINTER ever END? I started eating my pudding then all of a sudden the light bulb in my brain went off and I realized I needed a picture for this post! As you can see one side is a little messy! DELICIOUS Pudding! I've never had tapioca pudding before, but I'd love to try it. 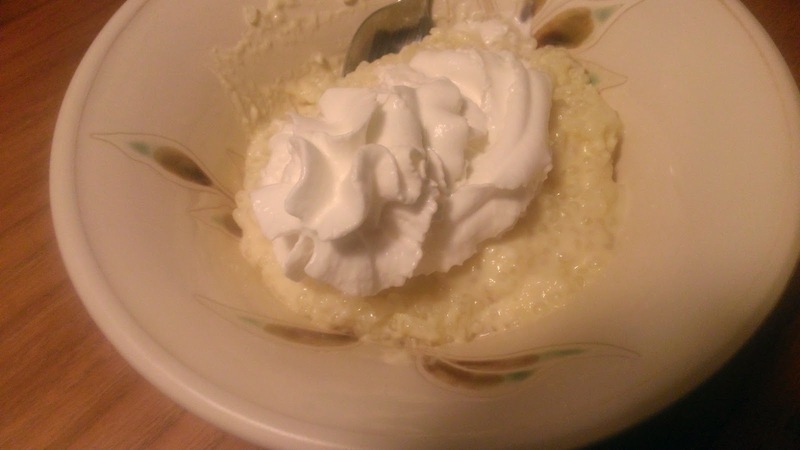 I'm not a fan of Tapioca pudding, but my 3 year old LOVES it! I will have to try this recipe for him. I've never had anything but the instant. I think I'd like to try making it at home! I have never had tapicoa pudding before either. I wonder if my kids would like it. I suppose there is only one way to find out! I like tapioca pudding but never tried to make it my self--I guess we need to put it on our to do list.